This page (and any documents which it refers to) states the Terms and Conditions (the “Terms”) under which you (“You/Your”) may use the OPRO INTERNATIONAL website located at www.opromouthguards.com (the “website”). Please read this page carefully. By accessing and using the website, you accept and agree to be bound by these Terms. If you do not accept any of the Terms stated here, You must not use the website. The website is operated by OPRO International Limited, a company registered in England and Wales (company number 3969219) with its registered address at 21 Bedford Square, London, WC1B 3HH. Our VAT registration number is 763824508. All references to “We/Our/Us” refer to OPRO International Limited. From time to time we may modify or revise these Terms (for example to reflect changes in technology, our business model, our system’s capabilities or relevant laws and regulatory requirements). 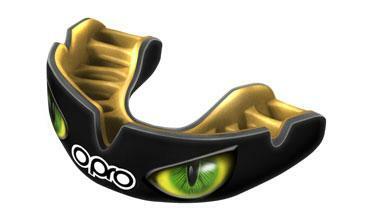 We recommend that you should therefore visit this Terms & Conditions page www.opromouthguards.opro.com/Information/Information/Terms-Conditions periodically to review the Terms. In the event of substantive changes to the Terms, You may be notified by a notice on the website. Your order will be subject to the Terms in force at the time when you order products from the website, unless any change to the Terms is required to be made by law or governmental authority (in which case it will apply to orders previously placed by You). Your use of the website constitutes your agreement to the terms. The website is not directed at any person in any country where for any reason the publication or availability of the website is prohibited and OPRO INTERNATIONAL does not represent that either the website or its content are appropriate for use or are permitted by the laws of all countries. We are sorry but we cannot accept orders from any person outside those countries. Access to the website is provided on a temporary basis, OPRO INTERNATIONAL reserves the right at any time to modify or discontinue, temporarily or permanently, the website, any part of the website and/or any and all features and sections of the website, without notice. However, where possible we will endeavour to inform registered users via a notice on the website or email; OPRO INTERNATIONAL shall not be liable to you or to any third party for any such modification, suspension or discontinuance. By placing an order on the website, you are making an offer to us to purchase the products you have selected on these Terms. You should therefore carefully check that your order is correct prior to submitting your order. During the ordering process you will be given the opportunity to correct any errors. After placing an order you will receive an e-mail from us acknowledging that we have received your order. The email does not mean that we have accepted your order. There will be no contract of any kind between you and us unless and until we have accepted your order. We will confirm that your order has been accepted in a further email (the “Order Confirmation”). The order confirmation will also contain full details of your order and delivery details. At any point up until then, we may decline to supply products to you without giving any reason. You will be charged for the goods upon acceptance of your order and a contract will be made between you and us. We store all contracts made and we recommend that you file these too, as subsequently the documents will not be accessible. The price of our products will be as quoted on the website from time to time, except in the case of obvious errors. The price includes value added tax (VAT). Where applicable delivery charges will be added to the total cost of your product(s) and shown in the order total or notified by separate email prior to despatch. We reserve the right to change our prices, from time to time. However, changes will not affect orders which we have accepted. We will verify prices as part of the order process and will contact you in the event of a mistake. If a product is priced incorrectly we are under no obligation to provide the product at the incorrect price, if the error is obvious and could have been reasonably recognised by You as an error. The products will be at Your risk from the time of delivery. Ownership of the products will pass to you once we have received full payment of all sums due (including delivery charges) in respect of your order. We hope you will be happy with your purchase. However, should you feel it necessary to return an item, we aim to make the returns process as simple as possible. If you are unhappy with an item, simply return it in the original packaging within 7 days of dispatch and we will give you a refund or replace the item. If you have any problems with your purchase please see the Delivery & Returns page on the website, for further help. If, in the unlikely event we suspect that your product may be faulty, we will ask you to return the product so that we may examine the product. If you are entitled to a refund we will notify you via email as soon as possible, and in any event within 30 days. In the case of a defective product we will refund the cost of the purchase price, and any delivery charges incurred by you. The contents of the website, such as text, graphics, images, and other material, as well as the underlying html source code of the website (“Material”) are protected by copyright and other applicable intellectual property laws around the world, and are owned or controlled by OPRO INTERNATIONAL or by third parties that have licensed their material to OPRO INTERNATIONAL. Unauthorised use of the material may violate such laws including copyright or trademark laws. You may download extracts of the material for your own personal use. You must retain all copyright and other proprietary notices contained in the original material on any copy you make. You may not modify, publish, transmit, participate in the transfer or sale, create derivative works, or in any way exploit, any of the material, in whole or in part or reproduce, display, publicly perform, distribute, or otherwise use the material in any way for any public or commercial purpose. You hereby acknowledge that you do not acquire any ownership rights by viewing or downloading the material. Except as otherwise expressly permitted under these Terms or applicable law, no copying, redistribution, retransmission, publication or commercial exploitation of the material will be permitted without the express permission of OPRO INTERNATIONAL and the copyright/ trademark owner. The trademarks, logos and service marks (the “Marks”) displayed on the website are owned by OPRO INTERNATIONAL or third parties. You are prohibited from using those marks without the express, written permission of OPRO INTERNATIONAL or such third party. If You would like information about obtaining OPRO INTERNATIONAL’s permission to use the Material on Your website, e-mail oproenquiries@oprogroup.com. The information and material on the website are not intended to amount to advice on which You can rely. Although we make every effort to avoid errors on the website, the material may contain inaccuracies or typographical errors. The website and the material is provided “as is” and on an “as available” basis and OPRO INTERNATIONAL makes no guarantees, promises or endorsements with regard to the accuracy, reliability, relevancy, completeness, or timeliness of the material or about the results to be obtained from using the website and the material. All colours and designs displayed on the website are indicative only and we cannot undertake to match them. We therefore do not accept any responsibility for any errors, omissions, or any inaccurate material on the website. Further, We do not promise that the website and/or the material will be uninterrupted or error free or that any defects will be corrected. We will not be liable for any loss or any damage arising out of or in connection with access or use of the website and/or the material except that nothing in these Terms excludes or limits any liability for losses which may not be lawfully excluded or limited by applicable law. Downloadable copies of the customer care and usage instructions for all OPRO INTERNATIONAL products are available on request. Contact us on oproenquiries@oprogroup.com to request a copy. We promise to You that any product purchased from the website is of satisfactory quality and reasonably fit for the purpose for which the product was supplied. Our liability for losses You suffer as a result of Us breaking these Terms shall be limited to the purchase price of the products You purchased and any losses that are a foreseeable consequence of our breaking the agreement. Losses are foreseeable where they could be contemplated by you and us at the time your order is accepted by us. We are not responsible for indirect losses which happen as a side effect of the main loss or damage or losses which are not foreseeable by You and us (such as loss of profits or business). Nothing in the Terms is intended to exclude or limit in any way Our liability for fraud or fraudulent misrepresentation, death or personal injury caused by Our negligence or deliberate breaches of the Terms by us that would entitle you to terminate the contract between Us. The website contains hyperlinks to websites owned and operated by third parties. We do not accept any responsibility for the content of third party websites or web pages, nor do we accept responsibility for any losses or penalties incurred as a result of your use of any links or reliance on the content of any website to which the website is linked. If You have any questions, comments or complaints regarding these Terms, the website, Our products or services, please contact us at oproenquiries@oprogroup.com, or by post at OPRO INTERNATIONAL Ltd, Unit 1, The Willows, Mark Road, Hemel Hempstead, Herts HP2 7BN, UK. Unless otherwise specifically stated, notices to Us must be sent by post to OPRO INTERNATIONAL Ltd, Unit 1, The Willows, Mark Road, Hemel Hempstead, Herts HP2 7BN, UK or by email to oproenquiries@oprogroup.com.and notices to you will be sent to the email address you provide to us when you placed your order. The website is based in the United Kingdom. These Terms and any dispute or claim arising out of or in connection with them are governed by the law of England and Wales and to the exclusive jurisdiction of the courts of England and Wales. If any provision of these Terms is found to be invalid by any court having competent jurisdiction, the invalidity of such provision shall not affect the validity of the remaining provisions of these Terms, which shall remain in full force and effect. No waiver of any Term shall be deemed a further or continuing waiver of such Term or any other Term. These Terms and any document expressly referred to in them constitute the entire agreement between you and us with respect to the use of website and the supply of our products. Any changes to these Terms must be made in writing, signed by an authorised representative of OPRO INTERNATIONAL. These Terms are not assignable or transferable by you without our prior written consent. These Terms are personal to you and are entered into by you for your own benefit and not for the benefit of any third party. A person who is not a party to these Terms shall have no right under the Contract (Rights of Third Parties) Act 1999 to enforce any Term save in the event of fraud or fraudulent misrepresentation. The section headings are used for convenience only and shall not be given any legal importance.